In this quincentennial year of Holbein's birth, this is the first comprehensive annotated bibliography of texts relating to this important Northern European Renaissance artist, with an accompanying historiographic essay on various aspects of Holbein's reception. The first part of the book, "Some Notes on Reception," contains overviews of texts about specific works such as "The Dead Christ, The Solothurn Madonna, " and "The Meyer Madonna." Other themes addressed include the perception of Holbein's character and his place among other Renaissance masters, his work as a portraitist, his use of illusion, authenticity controversies, and a brief chronicle of Holbein collectors. Previously unaddressed topics include Holbein's influence on later artists, and his impact on fiction, including his influence seen in the works of writers such as Dostoevsky, Henry James and Edith Wharton. This part of the book also contains synopses of the most significant and recent Holbein scholarship. These vignettes constitute a multi-dimensional approach to Holbein reception, sharpened by selected quotations from his critics. 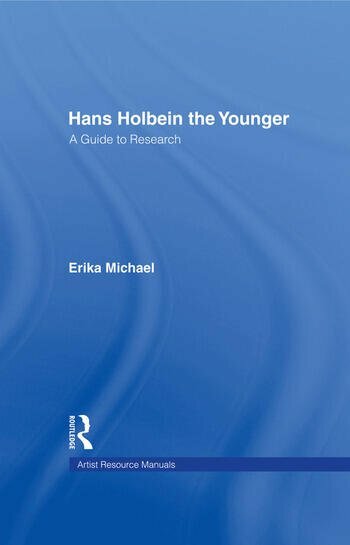 The second part of the book is a comprehensive listing of over 2,500 bibliographic citations for works dealing with Holbein and his oeuvre, each accompanied by an annotation outlining the authors' principal contributions. The range of material covered includes not only books and scholarly journals but also newspapers and other popular publications. Individual sections include texts dealing with primary sources, monographs, compendia, and exhibition catalogues. Others are devoted to texts about Holbein's paintings, drawings and prints, as well as to iconography, technical studies, patronage, collections, influences on Holbein, and Holbein reception. General Index. Author Index.